According to a recent report, Samsung has some big plans for tablets in 2014, we recently heard that Samsung are looking to sell a lot more tablets next year. Samsung are expecting to ship over 100 million tablets in 2014, and the company will apparently release more tablets which features Super AMOLED displays. 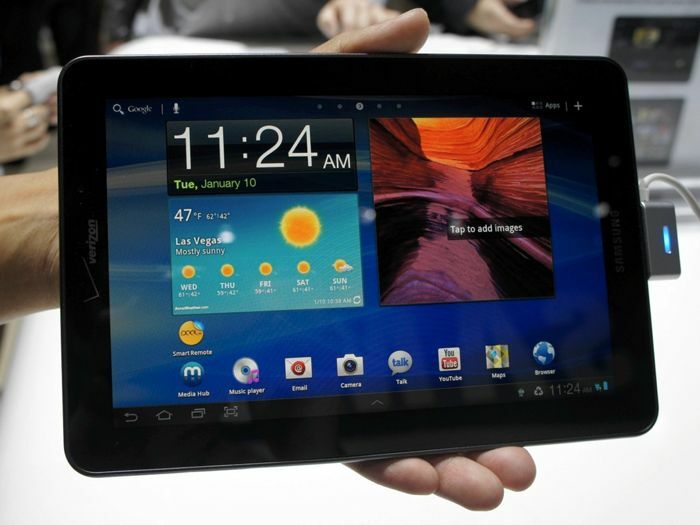 Samsung’s Galaxy Tab 7.7 features a Super AMOLED display, and Samsung is expected to launch a new 8 inch Super AMOLED tablet and a new 10 inch Super AMOLED tablet next year. Samsung will continue to use LCD panels in its lower end devices, so these new Samsung Super AMOLED tablets will be aimed at the high end market. As yet we do not have any information on what other features and specifications will be included in these new Samsung tablets, although considering they will be aimed at the higher end of the tablet market, we would expect the latest mobile processor and more. Samsung are expected to show off their new Super AMOLED tablet early next year, we could possibly see them at CES in January or Mobile World Congress 2014 in February.